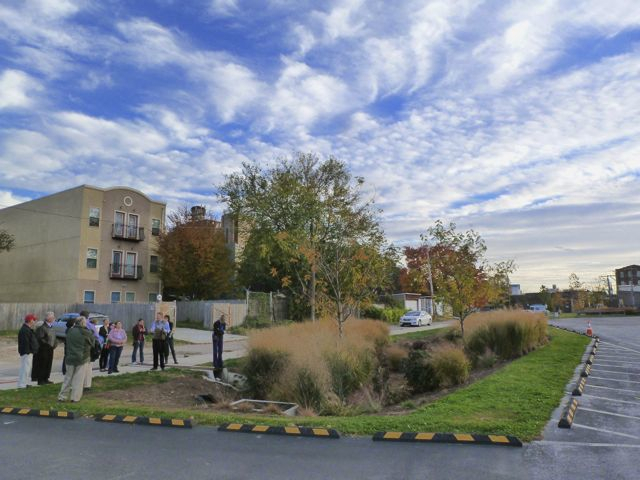 Green stormwater infrastructure uses vegetation, soils, and natural processes to address both the increase in water quantity and degraded water quality resulting from stormwater runoff. These techniques can mimic the natural process of absorbing, filtering and storing rainwater. When rain falls on our roofs, streets, and parking lots, however, the water cannot soak into the ground. The stormwater carries trash, bacteria, heavy metals, and other pollutants from the urban landscape, degrading the quality of the receiving waters. Higher flows can also cause erosion and flooding in urban streams, damaging habitat, property, and infrastructure. Green stormwater infrastructure refers to the patchwork of natural areas within a community that provide habitat, flood protection, cleaner air, and cleaner water. 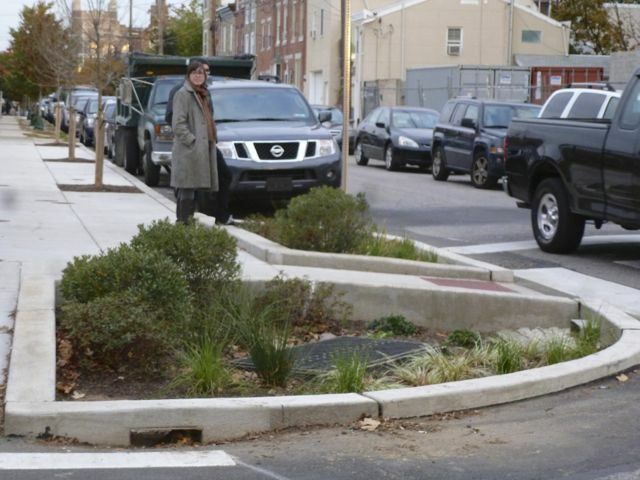 Pennsylvania Sea Grant has been actively working on projects including stream corridor restoration, green roofs, ordinance language to implement greening of parking lots and municipal streets, rain gardens and other green stormwater best management practices.